Improve Your On the Road TV Watching Experience with the Winegard Trav'ler Series RV Satellite Antennas. Strong winds and yucky weather interrupting your favorite shows and games? 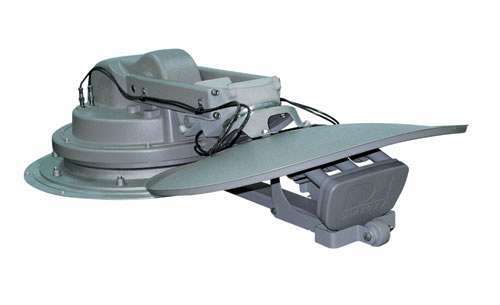 Trav'ler antennas are built on a newly engineered mechanical platform that provides more stability giving you uninterrupted signal acquisition, a much stronger signal and much less frustration.Compatible with all RV's, no domes, no extra switches, and an HD signal without an HD converter. It is automatic and a single button extends the antenna from its travel position. These antennas offer a complete and more comprehensive viewing experience than other antennas. That's because the Trav'ler antennas allow you to connect to and view up to 5 different satellites at the same time. You can watch separate programs located on different satellites on different TV's at the same time, just like home. 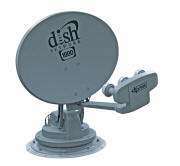 The Trav'ler antennas are compatible with all satellite receivers and some DVRs. 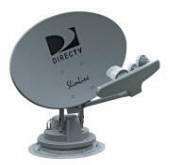 They also support a multi receivers at once.These dishes are for stationary use only. Get HD that domes can't! The SK-SWM3 DIRECTV Slimline is the only mobile automatic antenna to offer maximum DIRECTV HD programming.Never miss your favorite shows again with the power of multi-satellite viewing. Watch any program on any TV in the RV. Need a compatible reciever? Check out our selection.